Kingston has launched its UV400 Solid State Drive in India. The 120GB drive is priced at Rs. 5,999, while the 240GB drive is priced at Rs. 10,000. The drive is powered by a four-channel controller for speeds of up to 550MB/s read and 500MB/s write. The company also says that it is ten times faster than 7200RPM hard-disk drive. 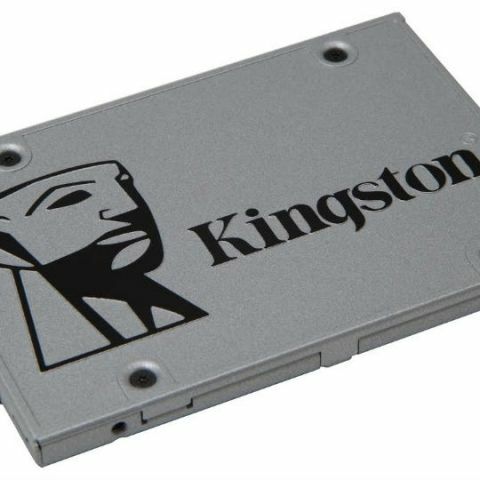 Kingston has also said that it will launch the 480GB and 960GB capacity SSDs soon. UV400 SSD is rugged and more durable than a mechanical hard drive as it is shock and vibration resistant making it more reliable for use in notebooks and other mobile computing devices. It is available as a stand-alone drive or as a bundle kit with all the accessories needed (2.5" USB enclosure for notebooks and 3.5" adapter for desktop, SATA cable and Acronis5 data migration software download coupon) for easy do-it-yourself installation. The UV 400 SSD comes in 120 GB and 240 GB capacities and shall very soon also be available in 480 GB and 960GB capacities. which one is best solid state drive or hard disc drive?